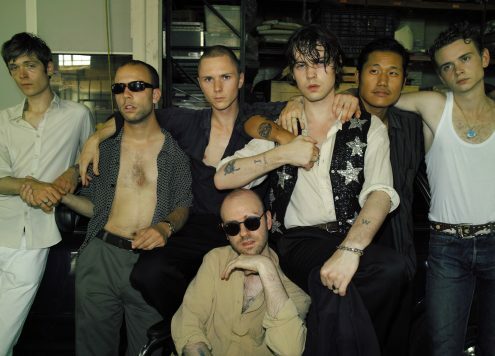 Iceage announce their return to North America in support of their fourth studio album, Beyondless, released last year via Matador Records. Beyondless and its songs landed on a number of year-end lists. Composed of Elias Bender Rønnenfelt (vocals, lyrics), Jakob Tvilling Pless (bass), Dan Kjær Nielsen (drums), and Johan Wieth (guitar), this will be the band’s third time in North America touring behind Beyondless, kicking off with an appearance at Coachella Valley Music and Arts Festival. Shame and Nadah El Shazly will support select dates.